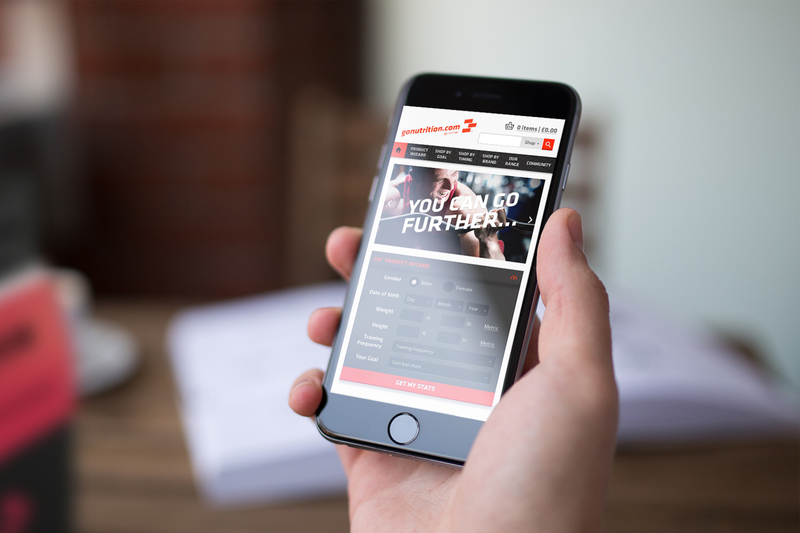 From one nutrition-based venture to the next, founder Oliver Cookson’s next brand was a fresh start, one that emphasised quality, not only of the nutrition offering itself, but of customer service and innovation too. 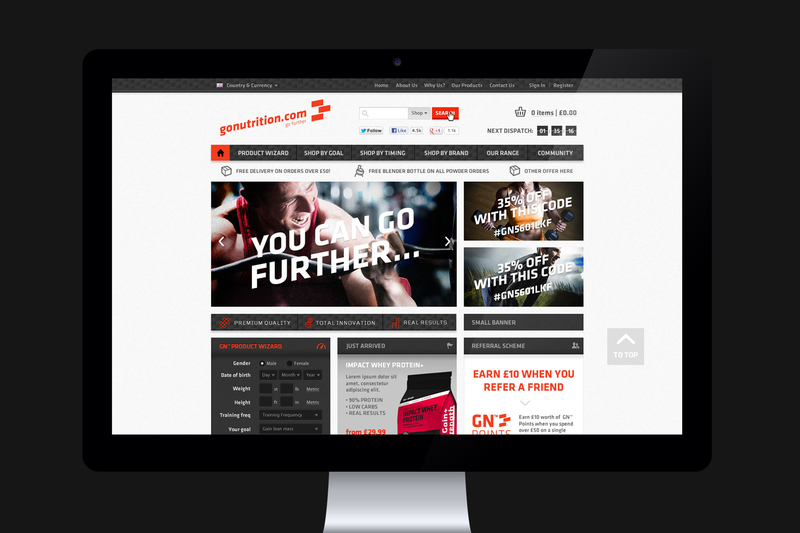 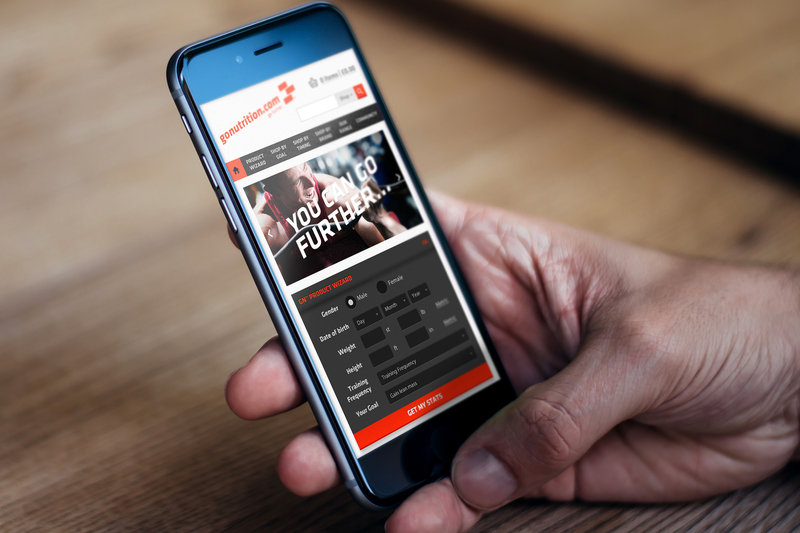 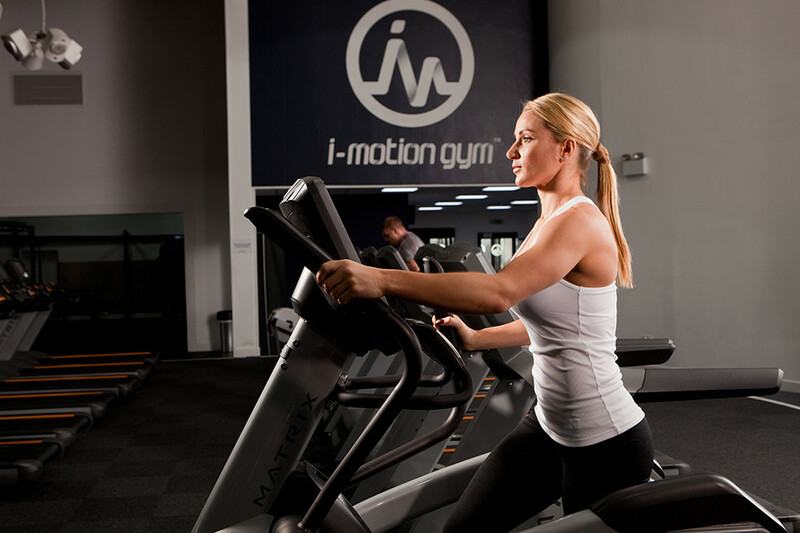 After creating a vibrant, polished brand that reflected that ethos, we were then tasked with creating a website that was every bit as slick, contemporary and streamlined as GoNutrition’s customer base would expect. 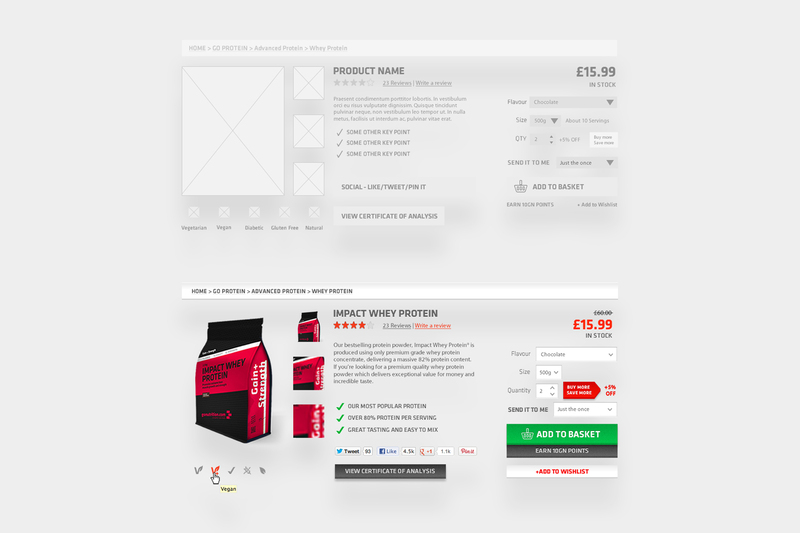 Given that the packaging had been designed with QR codes printed onto every single bag of protein, the website that we designed needed to make the customer journey as convenient and easy to navigate as possible. 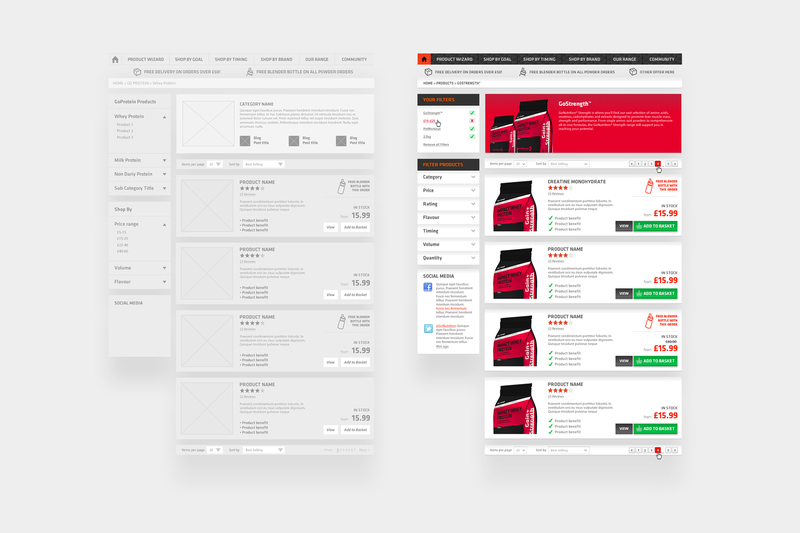 It also needed to work on devices of all sizes and resolutions. 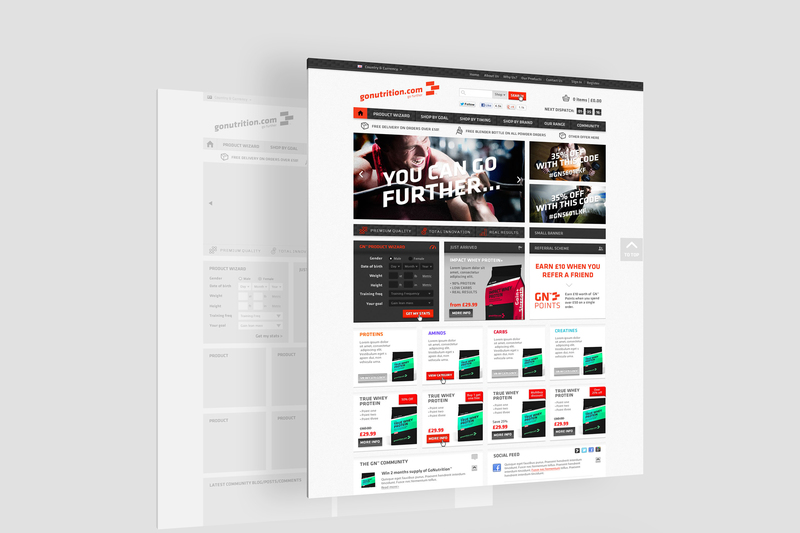 We built a website that was fully responsive, including interactive wireframes to better understand and analyse the user’s journey through the website, along with its overall usability – making tweaks and optimisations to the site structure as and when it was necessary. 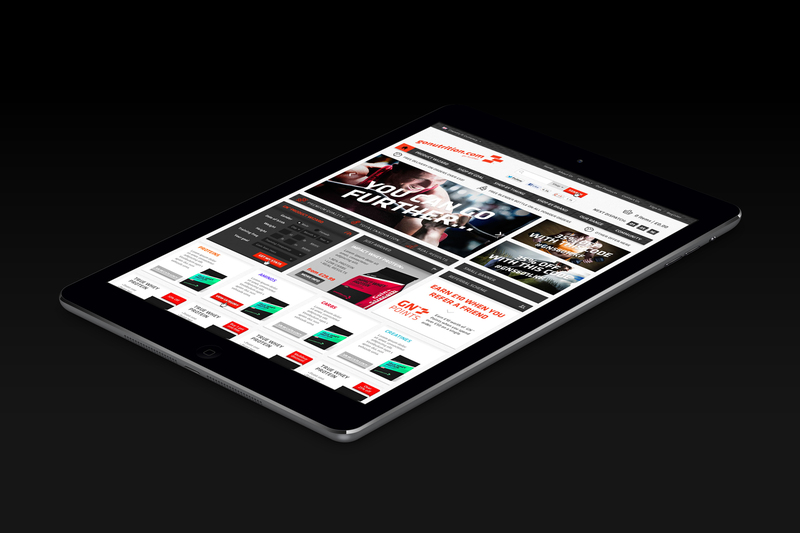 In addition, the website is bedecked in a carbon fibre-like texture, carbon fibre being known for being strong but light – a notion which we felt epitomised the persona of the brand.